When you read this blog, MavensMate creator has decided to end development and support of MavensMate, but that does not mean we cannot use MavensMate anymore. Force.com IDE - a powerful client application for creating, modifying and deploying Force.com applications. But for some people, like my case, the IDE not really working smoothly with my office machine which is still with Windows 7 32-bit. In many times (often), it just hangs when try to select more components to the project. Some other users said that Force.IDE is so clunky and finicky. 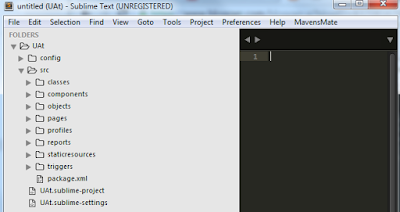 The other user looks for faster IDE at getting metadata and more user-friendly. Eclipse is slow to load and tends to get heap size limits with an org of bigger metadata size. 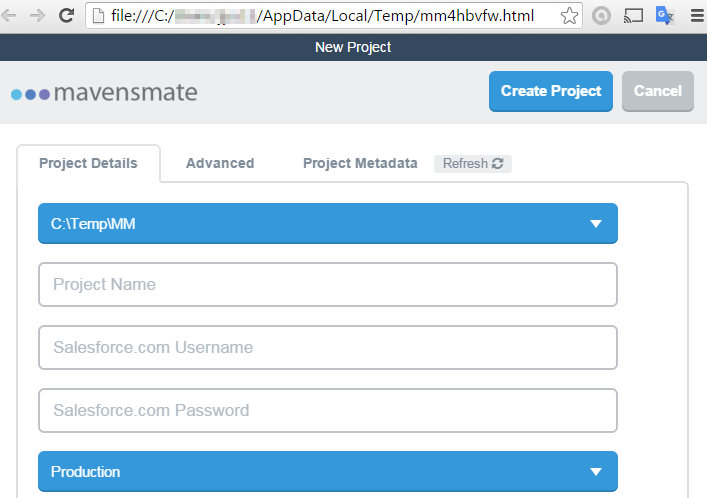 Recently I found another Open Source IDE for Salesforce.com (it is free), it called MavensMate. As in their website now - it works with OSX (10.8+), Windows (Server 2008, Windows 7, Windows 8), and Linux (Ubuntu 14). Although it doesn't say Windows 10, I just try and it works well. I read a blog say MavensMate installation for OSX is a breeze, but not for the Windows machine. I found myself takes sometimes to get this installed, the installation guide from the website is not really detail - MavensMate Getting Started. 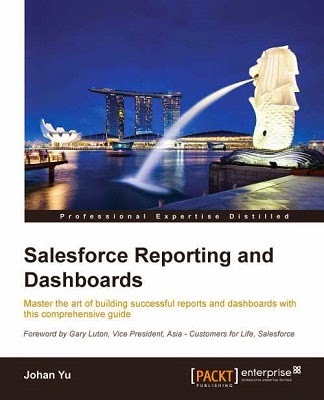 Before I explain step by step to install MavensMate, for Salesforce Admin, IDE is not always just for developers, although it is mostly designed for that purpose. 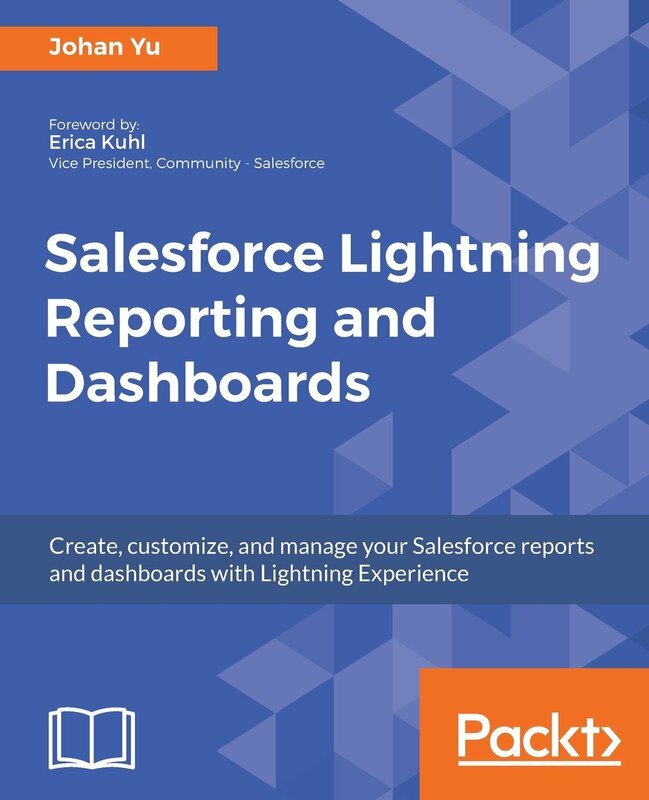 Example, with IDE you can easily search where a field used in the reports (of course not include reports in user personal folders). Use only version 3 (or above), download from here. Once you have Sublime Text installed successfully, go to this link to copy Python code to install Package Control to Sublime Text console. 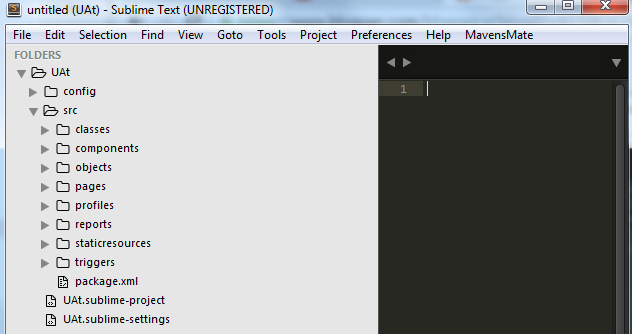 From Sublime Text, open the console via the ctrl+` shortcut or the View > Show Console menu. Paste the Python code copied earlier and press enter, this will install Package Control. Monitor the console log until installation finish, this process should be very fast - less than 1 minute in my case. You will need to close and open Sublime Text manually to finish Package Control installation. Because of MavensMate is no longer develop and support, you can download MavensMate Desktop from Github. There is an option for portable installation too, so you just run the MavensMate.exe file when need it. 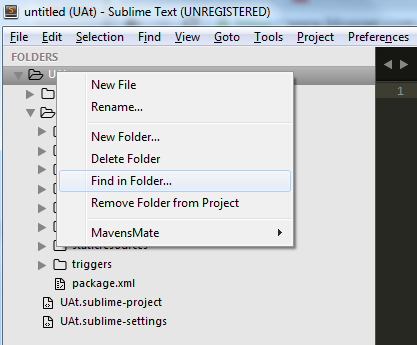 Now, MavensMate is installed in your Sublime Text. 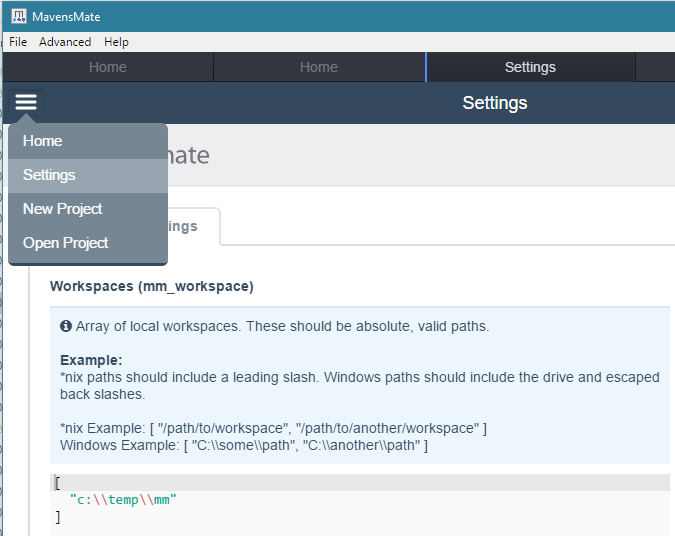 Next, you need to set the workspace for the user in MavensMate. From MavensMate Desktop, select Settings, you can set the path where you want to store all files related to MavensMate project. Make sure the path is valid and the user has full access to the path entered as a workspace. From menu MavensMate | Project | New Project... system, for an unknown reason, the system may ask you to update MavensMate, navigate to MavensMate | MavensMate API (mm) | Update MavensMate API (mm). You need to close and open Sublime Text again. 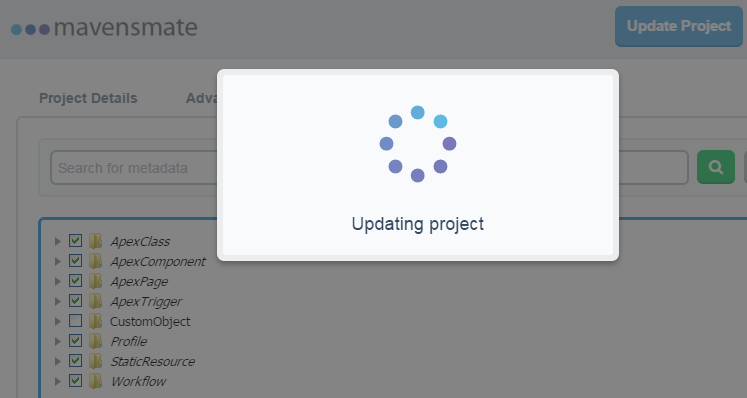 Once this done, click new project again and it should open a web browser to enter Project name and login credential, you may need to click Advanced and Project Metadata tab to make sure all metadata you need is selected. Based on Metadata selected upon project creation page, the metadata will be shown at the left side. You also can Edit Project to add/remove metadata selection for the project. From here, if you would like to search for something, example: a field name, right click on project name or Ctrl + Shift + F to open search window. The search result will be shown in the find results, from: apex class, reports, object (including field, validation rule, help text), etc based on selected metadata.